No, no. 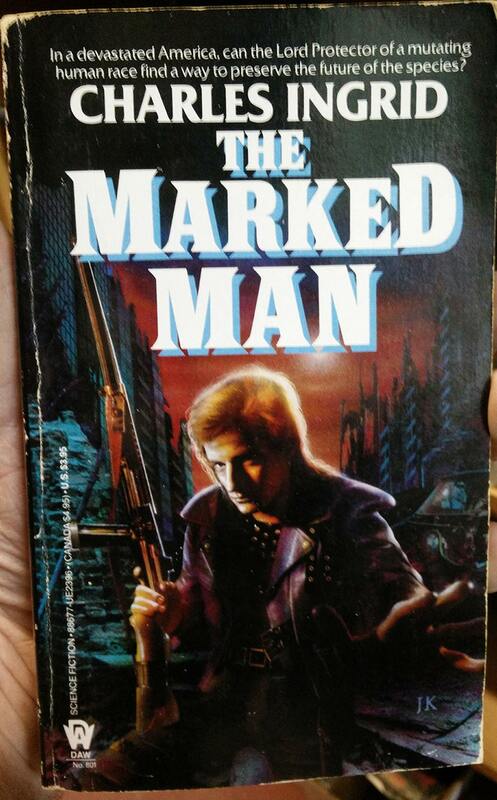 It’s supposed to be The Marksman, Redo the cover. Bah! Parliamentarian propaganda, I won’t have none of it. I think his preservation of the mullet will be his greatest accomplishment. Bolan, the man Jack Bolan! Martin Short finally heard one person too many refer to ‘The Three Amigos’ as Steve Martin, Chevy Chase and the Other One’. Attack of the Glam Rockers. Speaking as a fellow who knows about evolution, mutation is often necessary to preserve the future of a species. Or at least its bloodline. @Anna T.: Wrong Bolan. And wouldn’t it all be in primary colours with a Mexico 70 font? And a ‘Ting!’ like a five-pointed star? Was there a The Marked Woman by Ingrid Charles? Yes, yes, I know, I’m going after the low-hanging fruit. The only thing I can see on the cover is hair, and part of a nose. I’m thinking that originally 3D specs came with the book for optimal cover viewing. Another excursion into blurb logic. If the species is mutating, is that part of the problem or the solution? Which species exactly is Barry trying to preserve? The one that is genetically predisposed to really bad lounge music? I guess that would make the devastation complete. Does anyone else see a tiger’s face in his right fingertip and the white light to its left? On a side note, isn’t usually easier to snipe from above the level of the street? Then again, that might be too subtle for someone who thinks he can/should stop the human race from mutating with a flintlock air rifle. If America is so devastated how can he find the time, hair products, running water, and blow dryer for this perfect ‘do? @Tracy. Hair products? Blow dryer? I’m afraid it’s all too obvious how he “acquired” them. He shot Remy.